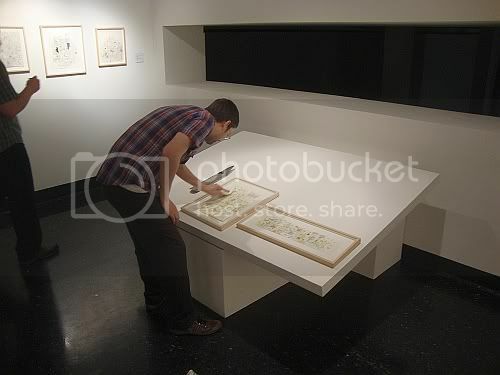 Last night we finished hanging the show--it's huge. 50 pieces all in, including Jim Woodring's performance tonight at 7 pm. 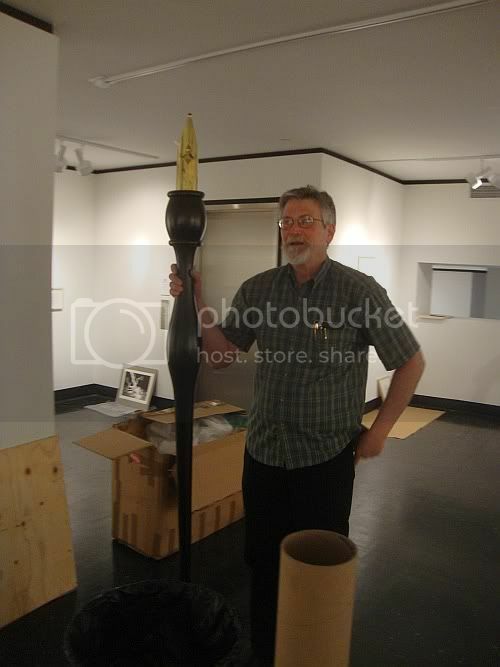 That's Woodring above, posing with his giant pen which he'll be wielding tonight. Marc Bell doing a last minute touch-up. By the way, I want to take a moment to thank Dean Liscum. Most of the recent posts have been his, as I've been so preoccupied with the Walpurgis Afternoon. If you haven't yet, read his erudite review of the George Gittoes exhibit and his self-deprecating account of the Ai Wei Wei protest.